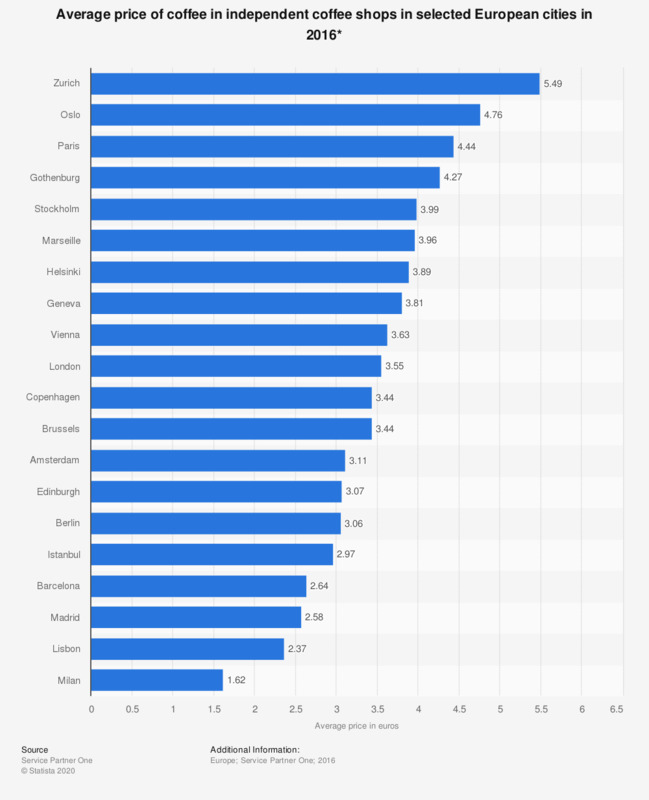 This statistic shows the average price of coffee in independent coffee shops in selected European cities in 2016. In Zurich, Switzerland the average cost of a medium cappuccino (or similar drink where necessary) in independent outlets was 5.49 euros. In Milan, Italy the same drink cost an average 1.62 euros. * The source adds the following information regarding the methodology: "Price for independent coffee was calculated by averaging the cost of a medium cappuccino, or similar drink where necessary, from several independent outlets within each city." Currency exchange is as of October 25th, 2016.